If you ever sat in front of a black screen because your Windows refused to start, you know the value of backups. And it’s so easy to keep your data safe! Backup entire disk partitions in just a few clicks and restore your files even in the event of a total system failure – that’s what Ashampoo Backup is all about. This application was specifically designed to do the heavy lifting for you, that means safety without the need for constant user interaction or system slowdown. It’s simple, it’s fast and it’s safe! Ashampoo Backup covers all the essentials of backup creation and restoration. Simply select a disk partition, a target location and a time and you’re all set! From now on, Ashampoo Backup will backup your files securely in the background. Experience maximum safety with minimal effort, no technical knowledge required. Restoring backups is just as easy as creating them. Restore your files with Ashampoo Backup or use the emergency disc / flash drive in the event of a total system failure to recover your data fast and securely. You can also view and restore individual files through Windows Explorer. It doesn’t get any easier than that! Thanks to incremental backup technology your backups are always up to date and still require 50% less disk space than backups created with competing products. Even massive hard disks with more than 2 terabytes are supported making it easy to create huge archives. And during each backup process, all data is constantly verified to eliminate errors before they happen even for complex backups. A good backup solution should not interfere with your daily PC work. That is why Ashampoo Backup pauses automatically whenever your PC is heavily used but even if it doesn’t you will barely notice it. In this age of technology, our everyday life is getting more and more dependent on the data we create, store, and modify every day. From a student at college to businessman in office, importance of data is unparalleled. Nowadays, one has to be very cautious, when it comes to security sensitive data. Data can be lost for many reasons like power surges, theft or cyber attacks. That is why having at least one backup plan for your sensitive data is very important in today’s world. There are many applications available for this purpose, but not all of them work well or come with all the features that are needed. 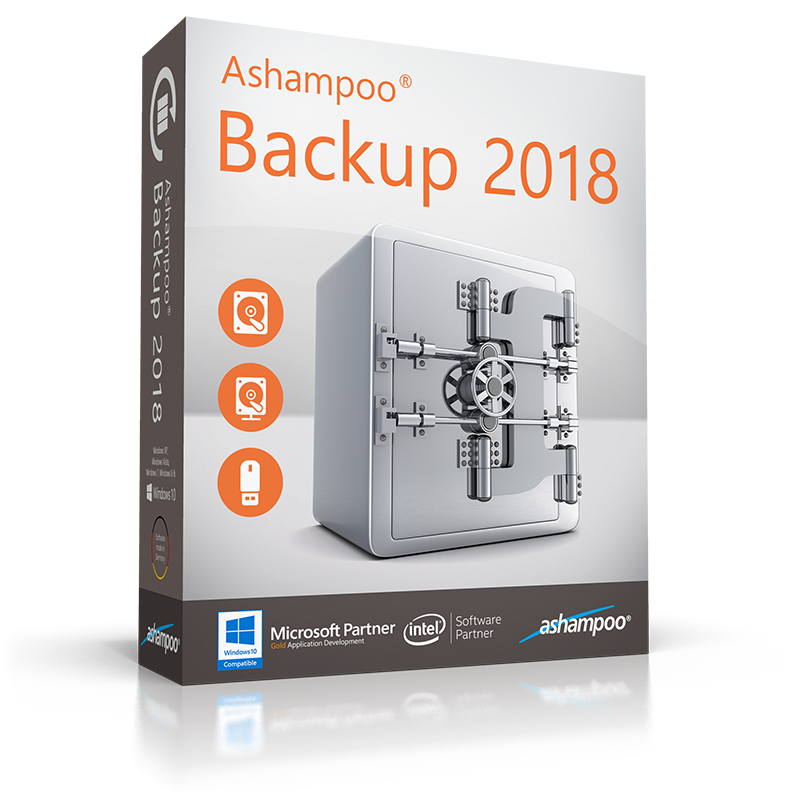 Ashampoo Backup 2018 is an easy, fast, and secure backup software solution, that can help you in case of data loss and even in the event of total system failure. It lets you backup and restore files, folders, drive, and entire disk partitions including bootable operating systems. The installer size is ~82MB, and the installation process is simple and straightforward, it does however take around 5 minutes to complete. Before the installation process continues, it asks you to enter the license key to activate the application for use. Once done, the installation process then starts and installs the application. After launching it, you can then start creating backup jobs and take advantage of this feature rich application. The application comes with a clean and simple UI, which should be easy to use and understand for all types of users, even the novices. At the top is the menu bar, with the usual drop down menus. The UI is a one window operation, and you can select all the preferences from a single window. You can select the drives to backup, where to backup, when to backup, and number of old backups to keep. Once you select all this, you can then hit ‘Activate Plan’ button. You can also view backups contents, restore backups, verify their integrity, view last backup date and time, and status of your backup plan. You can create rescue system, just in case your system fails to boot due to any reason. – Simple, clean, and one window operation UI, designed to be suitable for all types of users even the novices. – Back up to Local, NAS, removable, and also any cloud storage provider that supports WebDAV. – Backup and restore entire Windows systems, partitions, and hard drives. – Create disk images of the system, complete backups, incremental backups, different versions of backup, and proactive backups. – Create Window based rescue system, perform data integrity checks, and schedule tasks. – Automatically pause backups when full performance is required. – Not much in there for advanced users. 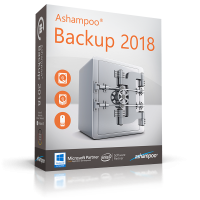 Ashampoo Backup 2018 is a simple yet powerful backups solution, that works well, and makes sure your data is secure and backed up. The application runs smoothly without any lag or crashes. It is worth-trying. Backups are important – especially if you keep on tinkering with your system as much as I do. You never know when you will lose that crucial file or mess up with your hard drive. That is why I am ever looking for the next ‘high’ when it comes to file backup. I always look for something easy to set up with automated backups, and if possible compatible with one of the many free cloud storage options out there. These are the expectations I had in mind when taking the Ashampoo Backup 2016 through its paces. Ashampoo Backup 2016 is all about backing up the hard drives and partition. No more no less. It will give you all the basics you need to create and manage your backups but you should not expect anything fancy or remotely advanced. Ashampoo maximized on simplicity when creating the Ashampoo Backup 2016. The application has a simple and easy to use interface that lets you focus on the task at hand – creating a backup or restoring from a backup. There won’t be any learning curve. Anyone who knows the computer use basics will be a pro in using this tool. Since the Ashampoo Backup 2016 can backup your OS, it makes sense for it to enable you restore from emergency disc or flash drive. I decided to backup the OS on my experiments machine and crash it on purpose. Recovering the system using my Ashampoo Backup 2016 emergency flash drive was quick and accurate. Ashampoo claims that this software can back up more than 2TB of hard disk and its advanced compression algorithm will compress the data into 50% the space. I had a 1TB external hard drive lying around and decided to give it a shot. I must admit, it took some time to run the complete backup. The most impressive thing is my 0.7TB of data translated to 400GB of backup content. It’s short of the 50% compression promise but still impressive. The only thing I dislike about Ashampoo Backup 2016 is the absence of fine-tuned features like backup filters, search features and most importantly cloud backup support. Well, these are personal preferences. I love extra control over my backups. If you don’t, I am sure you will find Ashampoo Backup 2016’s raw power rather tantalizing. Ashampoo Backup 2016 is right for people who want to create a local backup or recovery disc/ USB drive. Don’t use it if you wan’t to secure your files and you don’t have a spare hard drive that is safe from any data woes that your original drive could encounter. Recovering the system using my Ashampoo Backup 2016 emergency flash drive was quick and accurate. “Accurate” scares me. Perhaps you put it in lightly as it blends in with the paragraph, but “accurate” doesn’t cut it for me. “Accurate” implies there were a few mistakes/mishaps in the process. If you meant “perfect” (100% data restored correctly), then you should have said it. After your review, I am scared to use this software. I checked up on the meaning of this word, and some online dictionaries says this word implies perfect. But, other dictionaries say otherwise. The free dictionary says this word means “Deviating only slightly or within acceptable limits from a standard.” Using this definition, this software isn’t perfect. So, I was right. Do you run this backup from a thumb drive? ie, if you cannot boot your system then where does it run from? (Also, you need to correct and clarify your 2nd sentence in your ‘VERDICT’ section). How long did it take to create the backup ? How long did it take to restore ? I like to have windows closed when creating a backup. Can this program do that from the bootable CD ? Can we backup an entire system, and then restore it to another PC.